The swell waves on the east coast of South Africa are enormous and can swell to a great height. The breakwaters are situated in an area which has one of the strongest breakers on the earth. Even the sea manual warns very strongly about the sea breakers here. Basically this situation is encountered the whole year round. 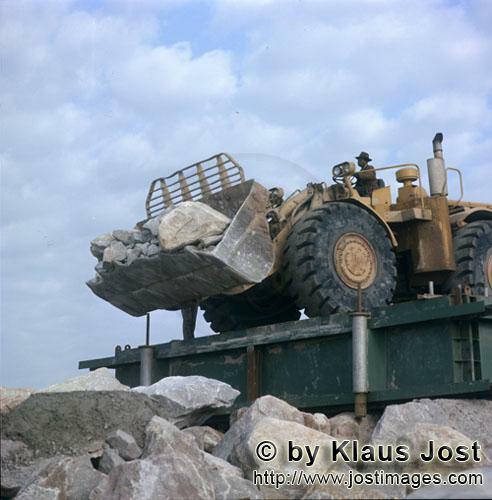 In order to prevent the last concreted head being undermined by water during the storm, a strong layer of large stones is built up by the wheel loader Caterpillar 988. In addition, dolosse are placed as high as possible.